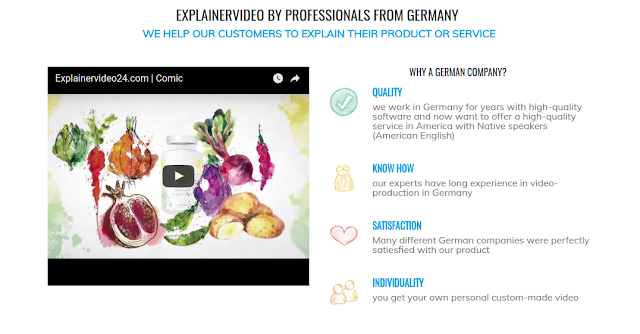 Creating an explainer video is a great way to attract the attention of prospective customers. By giving people solutions to common problems, you build trust — which often translates to custom over time. Your company may be able to solve the problems or provide the solutions they need, but in order to get this message across, you need to explain exactly what your business is about. This is where best explainer video comes in. Consumers are bombarded with information, and they have relatively short attention spans as a result. To explain what your company does using text might take 600 words or more, which would take up 10 minutes of a person’s precious time. But by creating a video, you can deliver the same information quickly and in a more engaging way. In order to create the best explainer video you can, there are several steps you need to take. The video making process should start with a script. Your video should follow a logical, linear narrative, and it should contain all of the essential information you need to communicate in a way that will be engaging and informative. By writing a script, you can be sure that you’re creating the best explainer video possible from the very beginning of the process. Once you have a completed script, you can use it to start putting the visual aspects of your video in place — with a storyboard. Think of your storyboard as a visual sketch of what your video is going to look like. This gives you a tactile method of experimenting with different scenes and visuals before you start the video production process. Try out different movements, transitions and angles on your storyboard until you’re happy that what you’ve created will deliver the right message. The narrator or voice-over tells the story to complement the visuals in your video. This is where your script comes to life, so it’s important that you choose someone with an engaging and clear voice. It’s definitely worth spending some money on hiring a professional voice-over, as the right voice will make your audience feel more engaged with the story — and your company. This is probably the most important task you will need to complete during the entire process. As videos on most social media platforms play on mute until they are clicked, your visuals need to be professional, visually engaging and interesting. You need to capture the attention of prospective customers within a few seconds, so what they see on the screen has to be impressive. Don’t cut corners here: hire a professional animator to create visuals that will stun your audience. A talented animator will take your script and transform it into a visual story that flows seamlessly. Music, sound effects and text will also add to the overall aesthetic — creating a video that will represent your brand in the best possible way. Publish your video on your own website, relevant third-party websites and on all of the main social media platforms. It’s vital that you track how your video is performing — both in terms of click-through rates, conversion rates and the general feedback of your audience. Depending on the results, you might want to tweak your video slightly. Consider implementing A/B testing on two different videos in order to see which approach delivers the best results. If you can create an informative and engaging explainer video, you should be able to use it for driving high quality traffic to your website. This not only grows your business, it builds your brand. Hope you've liked this post, if any doubts feel free to comment below or chat with me in Google+/ Facebook. Share is care.